Dream Photo & Video is whole-heartedly devoted to capturing your love and beauty on camera. This Houston wedding photography top notch team uses their remarkable skills to create images which will preserve the uniqueness of your big day forever. Their full service packages, including photography and videography, insure the ultimate client fulfillment. Dream Photo & Video prides themselves in being prompt in communication, fast in pictures delivery, and responsible. From start to finish, this wedding photography company is with you every step of the way to tell your love story for generations to come. It is not often you meet a person with such distinguished talent. In the tight Houston wedding photography market, Francie Baltazar stands out as a rare professional. Francie has a gift for creating fine artistic imagery, and a photo-journalistic style of capturing a love story. Awarded 2013 Houston Photographer of the Year Francie Makes the photo session enjoyable and relaxing is an essential element of her success. FireHeart Photography’s portfolio is a collection full of stunning images; including ravishing on location shots, artistic moments, top-quality portraits, and spot-on details of all the little things that make weddings so personal. FireHeart Photography also offers an open concept Fotobooth with custom backdrops which are always a bit hit at the wedding. 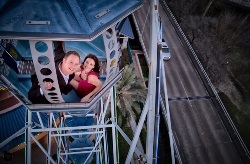 Ever wondered why Joey is one of the most celebrated local wedding photographers in Houston TX? 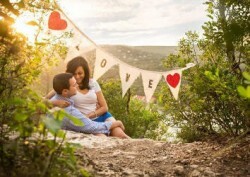 Capturing a couple’s unique story of love and friendship is the strength behind Joey T Photography. Driven by his passion for people and a gift behind the lens, Joey Thomas has produced magnificent images that are both spontaneous and breathtaking. 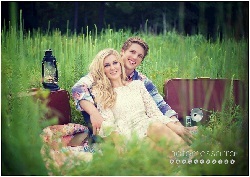 Along with creating spectacular images, Joey and his team provide film and photo booth services. Like many creative professionals in their field, Joey is always uncovering imaginative and original spaces to use as a backdrop. Every shot is aimed to savor a memorable moment for a lifetime. The best part is that Joey’s clients are able to fall in love all over again as they take a look through memory lane. Nate Messarra takes a special pride telling the story of his clients and their wedding day. He is an epitome of unconventional thinking who works to deliver one-of-a-kind pictures. Nate's ability to collaborate with his clients and relieve their stress allows him to produce shots guaranteed to leave you speechless. His ability to capture every little detail is what makes him stand out among local photographers. Needless to say, he is punctual and delivers what he promises. Overall, Nate Messarra Photography is a representation of professionalism and value. One more tip: don’t forget to check out his Photobooth with a live image projector! If you decide to book one, you won’t regret! Photographing Houston for over 15 years, Maryanne Keeling is highly recommended by peers and clients. Maryanne goes above and beyond to create stunning, lifetime images. Her pictures are the very essence of the art and her professional skills are priceless. Maryanne is a real fairy that transforms your wedding pictures into brilliant masterpieces by using Houston’s immense skyline to add an urban touch. In the hands of Maryanne a camera is not an instrument but rather a magic stick. 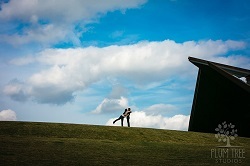 She is one of the most sincere, skillful, and flexible top Houston wedding photographers. Don’t forget to ask her questions regarding the customized canvas wraps and metal portraits she creates when you visit her studio. She would be happy to create for you “save the dates”, invitations, and wedding albums. Laurie Perez is an extraordinary photographer and inspiring business woman, who strives to please every client. Passionate about delivering great results, she goes the extra mile to make sure you received the most customer-friendly, reasonably-priced, and fastest photography service in Houston TX. Full of impeccable ideas for tasteful shots Laurie is fun to be around and hard-working photography expert who would leave everybody jealous of your pictures. Her work can be seen in Modern Luxury Brides, Avenue of Houston, and Something Turquoise. She is always on point and would gladly respond to all your questions. 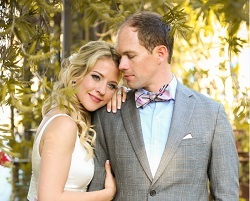 Since 2006, Plum Tree Studios has been documenting couples in love with an experienced eye. Adding a personal touch to every shot, Patrisha Pentecost and her team are true story tellers. Artistry and experience are key values that are at the core of the Plum Tree Studios team. Being detail-oriented and extremely sensitive to their surroundings, this professional group of photographers does a phenomenal job at keeping couples relaxed throughout the process. Capturing emotions of each and every guest at your ceremony and reception and revealing them in their work has brought unparalleled praises for Plum Tree Studios. Call or email today to find out about availability for your wedding date. Pixel Studio Productions is an award winning, experienced, and affordable Houston wedding photography studio. Their team of professional photographers work hard to provide you with unique images of your wedding that will last a lifetime. This photography teams has over 45 years of combined experience behind the len, and their passion for the art of photography has been a driving force all along. You get one day to totally and completely celebrate your love for one another, so choosing a photographer who will save those memories is extremely important. With an extensive list of photography and cinematic wedding videography services, it's easy to see why Pixel Studio Productions stays so busy. Though they are not the most inexpensive option, they are the best. 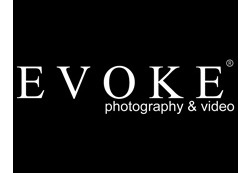 If you are looking for wedding photos that scream creativity and style, the first place you must look is the photo gallery of EVOKE Photography and Video. This top rated wedding photography studio offers packages ranging from $900 - $3,500. With a wide array of services offered, discounts are available for Friday and Sunday weddings. Being a preferred wedding photography studio for some of the best wedding venues in town such as Ashton Gardens, Briscoe Manor, The Bell Tower on 34th, the Parador, and many more, EVOKE has an unmatched reputation in the industry. If you are looking for a Saturday consultation, call EVOKE today as they are typically all booked up by Thursday.